The Investment Citizenship in Portugal has been having a boost in it’s numbers, being an excellent opportunity to get european residence through real estate investment. 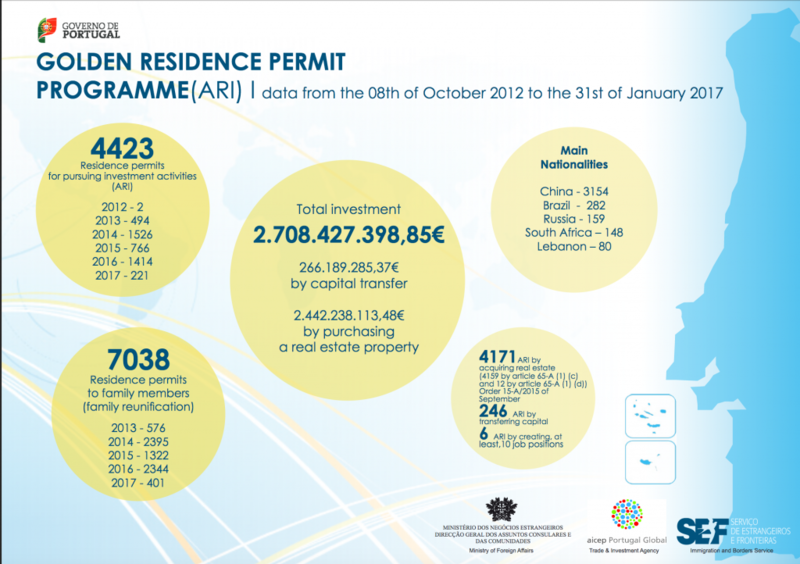 This investment citizenship visa program it’s lead on it’s applications by China, with 3154 investors already approved. The study also reveals an important factor which is the number of residence permits to family members who also get european residence in a family reunification method with already 401 permits attributed to family members of non european citizens who entered the portuguese investment citizenship program. PTGoldenVisa continues to make all the efforts to increase the amount of investment in Portugal, advertising the portuguese investment citizenship visa program in different world destinations and helping out potential investors who intended to get european residence, through this citizenship by investment logic.